To: My grandchildren, whose mere presence on this earth gave me the courage to work hard to regain my strength and health. If I hadn’t wanted to watch them grow up, I might have given up. I wanted so badly to see each and every one of them. With 3 of them living in Texas, our Kitchener grandchild became the one who had all the responsibility of keeping Nana working hard. Her visits were so very important to me. I became buoyed every time I knew she was coming, and could hardly wait until Christmas so that I could see all of my grandchildren. To: All of our children. Thank you so much for supporting Dad throughout all of this experience, especially at the beginning, when you had to rush home to be with him. It is comforting to know that you will be there when we need you. Thank you also for our precious grandchildren. To: My beloved husband. We never expected either one of us would ever have to invoke the “In sickness and in health” (with sickness first – it’s the hardest) clause of our vows in the way that we did. When it came time for you to follow through, you were there. You made that 45 minute drive (each way) to the University Hospital every day for 149 days + the 16 days in April and later the 21 days to Woodstock. Even on the many days that I was not able to respond or even know you were there, you sat with me. It wasn’t easy not knowing for so long if I was going to survive. When you were finally able to bring me home from the hospital, you were there for me. You helped me get dressed and move around the house, made meals, did cleaning and laundry and everything else with very little complaint. How did I get so lucky in finding you? I love you more than you know. I’m glad you were there. I couldn’t have done it without you. Perhaps someday, my grandchildren might want to know what happened to Nana. This story is for them. The year 2015 started out much the same as any other year, but by the end of the year, our family had endured the worst year of its life. Everyone suffered a great deal of stress and wondered if our family would ever be the same again. The story doesn’t start in 2015, though. It really goes back to 1977. That was the year that we welcomed our two new baby boys into the world. That hadn’t been an easy journey, either, but it was nothing compared with what was to come. The pregnancy itself had been relatively uneventful. Getting pregnant was another matter, as was delivering the boys. They were due on July 24th, 1977. Up until late May of 1977, we had thought that there was only one baby. When I began gaining more weight and measuring a larger size than what was expected, the doctor thought that, either the baby was transverse, the date was wrong, or there was more than one. (I somehow knew it was more than one.) It took about 10 days before we found out that we were expecting two babies, not just one. The doctor wanted to see me a week later to see if he got the same readings. When he did, he sent me for an x-ray. I asked the technician what he saw. He told me that he couldn’t tell me, but that if it were him, he’d start buying for two. After that, we had to figure out how to care for two babies. I had planned to teach until the end of June, but by the middle of June, the doctors wanted me off of my feet. It was very hot and my ankles were swelling. By July 11th, I was placed in hospital because I had pre-eclampsia, and they wanted to watch me carefully. On the 14th, the doctors tried to induce me, but since I felt no contractions, they sent me home, and the next day, I went to St. Joseph’s Hospital in London to await the arrival. I was treated by the head of Obstetrics/Gynecology at that time. By Monday (the 18th and our 7th anniversary), I didn’t think anything was happening, but the doctor told me that I was having contractions. Since my uterus was so extended, I couldn’t feel anything until they broke my water. Then I wished they hadn’t. By about 8:00 am the following morning (the 19th), the first baby was experiencing some difficulty, so they decided they needed to hurry the delivery along. Since they couldn’t manage things naturally, they did a caesarian section to deliver two healthy baby boys. I don’t remember much about their delivery. They took me to the caesarian room, but then one of the doctors said no, and wheeled me into the delivery room, or at least towards it. Then the Ob/Gyn came along and told them no, they should take me into the room for caesarians. They did try to use the paddles to deliver the first baby, but that didn’t work. Since they knew that the second baby was bigger, they decided that they would deliver the boys by caesarian section, and put me out, as, when they asked if it hurt, I said it did. However I had come that far and still wanted to deliver them while awake, but they didn’t give me that opportunity. Later that morning when I was in recovery (or at least I think that’s where I was), someone spoke to me and said that my husband wanted to see me. All I could think was: “Husband? What husband? Is that Phil?” I guess he saw me and talked to me, but I don’t remember it. Later in the day I heard someone ask me what I had, and all I could say was “two”, as I didn’t know what I’d had. The next time someone asked me, I did say “two boys”. I figured someone must have told me. After another week, I was sent home with a warning to watch for heavy bleeding. I didn’t notice anything until the evening of August 2nd. I checked with my doctor on the morning of the 3rd, but he didn’t think there was a problem. Shortly after noon, I noticed blood trickling down my leg. I started gushing. With my mother still there to help look after the boys, she stayed with them while my husband took me to the hospital. I thought they’d just fix me up and send me home (my standard thought in an ER). However, they kept me. I hemorrhaged again the next day, so they started by giving me 1 unit of blood. The next morning, they did a D&C. I remember the surgeon calling my husband from the recovery room to tell him that I had had a little more difficulty than most, but that I was okay. We found out, several months later through my husband’s sister, that a friend of hers had been in the operating room, working, when I went in. They had had some difficulty getting blood into me fast enough, and she said that it was touch and go for a while. As it turned out, they had given me 5 more units of blood. It was a precious gift to me then, as it saved my life and allowed me to go on and give birth to our daughter, almost 4 years later. However, that gift of life almost stole my life away in 2015. As we found out in 2014, I had received an extra-special gift in that donation of blood – hepatitis C! Chapter 2: SO – WHAT IS WRONG? Over the years, I experienced fatigue a great deal, but there was nothing else causing problems that I knew of. I thought the fatigue was due to everything that I was doing – teaching and being an organist as well as doing my job as a wife and mother. I looked around at many friends and wondered why they weren’t as tired as I was. No matter what, I couldn’t stay up as late or do as much without getting overly tired. I figured it was just me. Eventually I was diagnosed with a low level of thyroid (which can cause fatigue) and a sleeping disorder (which didn’t allow me to get the proper kind of sleep). That had to be why I was so tired. However, even with those two problems solved, I realized that I was still rather tired a great deal. In early 2012 (or 2011 – I can’t remember which), my doctor called me into his office to tell me that he had noticed my blood platelets were going down. I don’t know how long he had been watching that happening, but it got to the point that he was concerned. So, he sent me to an internist. In May of that year, I went to the specialist’s office for an appointment. I remember him telling me that my spleen was enlarged and that my liver was hard. So, he sent me for an ultrasound and some blood work. Before I left his office, I asked his receptionist if I should make an appointment for a return visit to get my results. She said no, they would call me when all of the results were in. After a month had passed and I hadn’t heard anything, I called to find out what was going on, as I knew they should have the results by then. I was told the doctor was out of the country. I thought maybe he was on holiday for the summer, so I waited until fall. When I hadn’t heard anything in September, I tried to call again. I couldn’t find his phone number in the phone book or on line. In retrospect, I should have gone into his office to make an appointment, but I didn’t think of that. So, instead, I went back to my doctor and asked him if he’d gotten a report. He hadn’t, either. He then sent me to the other internist in town (Dr. #2). He did basically the same exam and told me the same things. So, he sent me for a different ultrasound–a CAT scan–and some more blood work. Those tests didn’t show anything, either. By this time, a year had passed since my initial visit to my own doctor. I saw that doctor a couple of more times. He couldn’t find any reason for my platelets being so low, so he sent me to a hematologist (Dr. #3) at the Cancer Centre. This was in June of the following year, so that made 2 years at that point since I had first been sent to someone. He didn’t examine me, but his resident did. She did a thorough exam. At the end of the visit, the doctor came in and said: “I don’t think there’s anything wrong with you and I have ways of finding out” (his exact words – I’ll never forget them). We never heard from him again. I had to go back to see the internist. At that time, he said that he would follow me monthly and check on my platelets. He drew my blood for blood work and said to come back in a month. When I went back a month later, he decided he didn’t need to see me anymore. With two doctors dismissing me and one telling me there was nothing wrong with me, I tended to believe them and began to think that my fatigue was just in my head. By this time more than 2 years had passed by. Meanwhile, I noticed that I was having trouble eating some food. Fish, especially, made me throw up, so I stopped eating fish. As well, a few other times when I ate out, I threw up afterwards. The fallout could last 2 or 3 days. I started being very careful about what I ate when we went out, being careful to avoid things that I thought might make me ill. Food at home never seemed to bother me. I continued doing the things I usually did, including administrative work at the local music festival, but still felt fatigued a great deal of the time. I began to notice some little things happening. I saw white spots on my tongue. My Dr. sent me to an ENT (Dr. #4), as he was concerned it was cancer. I saw him twice. He looked at my tongue on the first visit, and set up a second visit to do a biopsy. When I went the second time, he decided that he didn’t know what it was, but he didn’t think it was serious. (I found out later that this was a symptom of liver disease, as was the fatigue). This was 2 ½ years after my first specialist. I think another six months to a year went by before I plucked up the courage to ask my doctor if my gallbladder could be causing my symptoms. I knew that throwing up after eating certain foods could be caused by gallbladder trouble, and I knew I did have some stones. The only thing was, I didn’t have the pain that I thought was associated with gallbladder trouble. My right side was tender, though I thought it was from sleeping on my right side all the time. Fortunately for me, my doctor didn’t question anything, and instead, asked which surgeon I’d like to see. I returned to his office on May 23, 2014, at which time he gave me the diagnosis. I had hepatitis C, and it had damaged my liver. I knew immediately where I’d gotten it. I knew of the tainted blood scandal, and that I had received blood August 4 & 5, 1977. I was another victim! He had a questionnaire which I had to go through with him, and I also received a call from a nurse at the public health clinic. All this was to determine where I had picked up Hep C, and if I’d had contact with anyone to whom I might have passed it on. Fortunately, I had never given blood, so I did not infect anyone else. That was of some comfort to me. The surgeon was very kind. He told me that, in my current condition, he would not remove my gallbladder, but that once the Hep C was looked after, he would gladly remove it. He sent me to a hepatologist (Dr. #6), who specializes in the treatment and cure of hepatitis C, along with other things. In September of 2014, I had my first visit to the Transplant Clinic. I met first with the nurse practitioner, who took my history and measured my vitals. The hepatologist came in to meet me, and we set up another appointment for December 23rd, which was later changed to December 4th, and sent me for blood work. At the September appointment, we asked if we could travel. We were told we could do whatever I felt I could handle. We booked a Mediterranean Cruise for November. Though I was very tired and many things were difficult for me, we had a great time and enjoyed going to Italy, Greece, Turkey, France and Spain. I was very fortunate to have my husband with me for these appointments. Through our whole ordeal, he never left my side. That helped if I didn’t remember something or hear it correctly. His ears filled in where mine failed. When we returned to the clinic for my next appointment, we met privately with the hepatologist in his office. I don’t remember a great deal about that appointment, but remember him telling us he was going to do everything he could to keep me off the transplant list. I think he also told us that my liver was badly damaged. He set up a January appointment. In January, I was asked if I would take part in a drug study. It was for a drug, which, when taken 10 days before surgery would build up platelets to help keep a low-platelet patient like me from bleeding out. We didn’t know if I’d get the real drug or a placebo until after I had taken it. I had to go back and forth to the clinic over the period of time I was in the study, leading up to my endoscopy, and shortly after, as a follow up. Our expenses were paid, and I was given money for purchasing lunches when I had to stay for the whole day. The endoscopy, which took place in late February 2015, was necessary, as they were looking at my esophagus to see if I had any varices. These are bulges in the tissue, which could cause uncontrollable bleeding if not treated. There were 4 bands put on at that time. Later, I had more bands put on. On the day of the surgery, I had to be at the hospital early so they could check my blood platelet level. They had gone up to 113 (150-400 is normal), enough so I didn’t need an infusion of platelets before the surgery. The drug had worked for me, and I hadn’t gotten the placebo. I never come around very easily after an anesthetic. I always throw up. I did this time, too. They wanted me to get dressed to go home, but all I could do was sit on the side of the bed. The nurses finally had to help me, and put me in a wheelchair to get me out of the hospital. I watched all kinds of people able to get off of their beds and walk out – but not me. When we got home (after throwing up some more in the car), I went to bed and slept the rest of the day. The hepatologist also planned to give me Harvoni. Even if I had been diagnosed sooner, they could not have cured my Hep C. They could have managed it, but not cured it. Harvoni was a new miracle drug which had just been approved for use within the past year. It came at a cost of $75 000 – a hefty price tag. At that time, the provincial government was not covering any of the cost. As he said to us, “Some people can wait, and some people can’t,” so I knew what category I was in. Thus began my journey on Harvoni. It was a once-a-day pill taken for 12 weeks to rid the body of the hepatitis C virus. We travelled quite a ways three times to pick up the drugs – once in March, once in April and once in May. Each bottle contained 28 pills worth $25 000, which was a lot to carry in my purse. I certainly didn’t want to lose it. I felt like I was doing an illegal drug deal. I took the pills regularly each night with supper, so that I would not forget to take any. I never did. I swallowed each and every pill – worth almost $1 000 each night, hoping that I would be one of the lucky ones whose Hep C was cured. 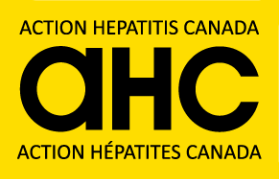 It would be 12 weeks after the treatment was completed before I could be tested to find out if the Hep C was gone. I continued on my daily routine of practicing organ at the church, doing festival work, and napping – lots of napping. Then, on Maundy Thursday of 2015, I noticed bleeding when I had to pee. The toilet bowl filled up with bright red liquid. I had a joint choir practice that night with our church and another church, to prepare for our Good Friday service the following morning. I hoped that the bleeding would subside. It didn’t. I was still bleeding every time I went to the bathroom. The bowl would be bright red after. I knew I couldn’t beg off of the Friday service. There was too much I had to do, with much of the work being piano/organ duets. It would not be fair to ask someone else to step in at that point – if we could have found someone. I toughed things out, but my husband and I headed home afterwards, changed, got some lunch, and went to the ER, with my Harvoni in tow. It really didn’t take long to be seen at the ER. For some reason, they weren’t very busy. Phil dropped me off at the door. I was very surprised that there were very few people waiting. I had checked in by the time Phil parked and got back to the ER. After a short wait, we were taken back to a bed. I was asked to give a urine sample. That was an adventure. I had to try to pee into the usual small bottle. I got blood everywhere – on the seat, on the floor, all over the cup all over me and eventually around the sink. Since I was concerned that someone might get my blood and Hep C into their system, I cleaned it up as best I could. Sometime after that, a catheter was inserted and saline solution was hung to flush out my bladder. The output was rather red but turned pinkish when mixed with the saline. I don’t remember how many people I saw, but eventually, they decided to admit me. They took me up to the 8th floor after supper – probably around 8pm. Once I was settled in, Phil and I visited a bit before he went home for the night. Over the weekend, I had an ultrasound and some x-rays, none of which really showed anything. On Sunday afternoon when the resident came in, she decided that I could go home, as the output didn’t look so red anymore. I had planned a nice Easter dinner for the family, but that had to go by the wayside. No Easter for us. When I was discharged, I didn’t really think things were over. I was right. After I got home, the bleeding started up again. We decided to wait until the next morning to make sure I was still bleeding, and to give me time to try to finish organizing the festival stuff I still had to get ready. Festival was to start the following week. Most of the work was done, but there were a few small things that had to be finished up. During both of these admissions, I had brought the Harvoni with me, as I didn’t want to miss any doses. I took it regularly every night with supper. Over the course of the next couple of weeks, I had several ultrasounds, x-rays, and other various tests. In an ultrasound, they discovered that I had a growth around my left ureter. This gave them cause for concern. They were worried it might be cancer. I underwent tests on my lymph nodes, and a biopsy on the growth, which involved putting me in and out of a CAT scanner, so they could see where to put the needle and follow it into the right area to take 4 pieces of tissue. I also had a bone marrow test (not exactly pleasant) and a PICC line inserted into my right arm, so that they wouldn’t have to keep poking me to get blood and give me drugs. The bone marrow test meant I had to lie on my side and not move for about 20 minutes. I held tightly onto the bed rail so that I could stay in that position long enough. They numbed the area before inserting the needle to get the biopsy they needed. I could feel every pinch and pull even though I was numbed. All of the tests returned negative – no cancer. Inserting a PICC line involved using a portable ultrasound machine to follow the line through my arm and neck into my chest area. The worst part was having a sterile drape over my face to prevent any bacteria getting into the site. That wasn’t all that pleasant, either, but it did mean I wouldn’t have to be pricked over and over again for blood samples. Throughout all of this stay, I didn’t get to see my hepatologist. He was away somewhere, but they were keeping in touch with him via e-mail. Urology was looking after me, as well as Hematology. One day, the head of Urology, came in to see the patient whose bones he was looking at. To me, he looked like Keanu Reeves – easy on the eyes. He told me I was a difficult case and a complicated case – not exactly reassuring. One hepatologist who looked at me (I don’t remember who he was) told me I didn’t look sick, and that he had transplant patients who looked sicker than I did. So, I guess nothing was wrong with me–again! They also decided to send a camera into my bladder to see what was going on. Other than the bladder being bruised from the catheter, they couldn’t see anything. However, they gave me 2 Percocets to help with the pain (I didn’t have any), and that put me to sleep for 24 hours. Poor Phil just had to sit and look at me while he visited, but at least he did get to eat my supper. They discharged me again on Sunday. I had been in hospital 16 days. On the following Friday (the 24th, I think) I had to return to UH for another endoscopy. When I got up on Friday morning, I really didn’t want to get out of bed. I don’t remember a great deal of that morning, but I do remember standing in the bedroom, and Phil talking to me. He was worried, and had been doing some searching on the internet. He thought that I was dehydrated and insisted I have something to eat and drink. He thought maybe we shouldn’t go for the endoscopy, but I felt we should go. I had a great deal of trouble answering him. I just stood there. I could hear him and knew what he was saying, but I couldn’t answer him. I felt like I was in a bubble. However, just to keep him happy, I had a piece of toast and some orange juice before we left for the hospital. When we arrived at the endoscopy area, they took me into a bed to get ready. The nurse came in to get some history such as what drugs I was on. (Other than the Harvoni, I couldn’t remember anything). She said not to worry she could check it on the computer. Then, she asked if I had eaten anything. Of course I had – not a good thing as I was supposed to fast after midnight. I had forgotten and Phil hadn’t thought of it. She went out to talk to the hepatologist and told him I couldn’t answer her questions. He told her that that was not this lady. He knew I was intelligent. So, he came in to talk to me and they brought Phil in. The doctor could tell that I was confused, so he put me on lactulose and another drug which was to help me poop, as the toxins were building up in my system because of the liver damage. That was causing the confusion. He also gave me another bottle of Harvoni, and then said he wasn’t sure he wanted to put me through the endoscopy because of what I had been through in the previous 3 weeks. After that, I had to go to the lab to give blood twice a week. We went home and got the prescriptions filled. I started taking the liquid lactulose and the other medication he had given me. By Saturday morning, I started throwing up and couldn’t keep anything down. So, we stopped the pill medication, but kept on with the lactulose. Next, I started having diarrhea, so I cut back on the lactulose to one dose a day instead of two. Phil called the doctor on Monday. He said that if I couldn’t stop throwing up, I’d have to come back to hospital. Fortunately, after paring back on the meds, I did manage to keep food down. My confusion lifted after a few days, as well. Our daughter and her husband and daughter came from Somerville to start house hunting in Waterloo at the end of April, as he had gotten a job at the university. That allowed us to have Easter with everyone, delayed though it was, and celebrate our daughter’s birthday. I enjoyed their visit, but it wore me out. When they left, I really couldn’t get off the couch to bid them good bye because I was so exhausted. I wasn’t able to do much. I couldn’t work at festival at all. I just didn’t have the energy, so I had to ask a couple of my secretaries to take over for me. I directed them from my hospital bed and later from home, and helped them get through the festival without my being present. When festival was over and wrapped up, I handed in my resignation. I knew I didn’t have the energy to do all of the things I needed to do, and wouldn’t have until I was well again – whenever that happened. I knew all along a transplant might be a possibility, but I figured I was a couple of years away from that, and I just couldn’t continue with all of my responsibilities at that time. I also took medical leave from my job as organist at our church, as I didn’t have the energy for that, either. I returned to the doctor’s office on May 1, but I don’t remember what transpired, and neither does Phil, as he didn’t write anything down for that, and my memory for that day doesn’t exist. He may have set up an appointment at the hospital to have some of the fluid drained from my abdomen. I had three taps altogether. I was having a great deal of difficulty breathing, and having the fluid drained didn’t help me for very long. On May 8th, I had an appointment to see the urologist. We were going to talk about the growth around my ureter. He wanted to remove the growth. Even though the biopsy didn’t detect any cancer, he was concerned that there was some hiding further down the growth that they couldn’t reach during the biopsy. He told me that it was a dangerous surgery, and that I had a 50/50 chance of making it through the surgery. If I chose not to have the surgery and I had cancer and they gave me a transplant, it would kill me. I also knew that if I didn’t have a transplant, that would also kill me. They didn’t give me the option of “none of the above”. So, which way did I want to die? I knew I didn’t want to go into surgery knowing it could possibly be the last day of life, nor did I want Phil to worry that he might never see me again. I was between a rock and a hard place. I finally asked the doctor what he would do, knowing full well he’d probably give me the answer he wanted me to choose. He said he’d do it. So, reluctantly, I said yes, but asked him to please do his best to keep me on the right side of the 50. I knew he would, as he was the top urologist in the area. All of this preyed on my mind for some time. The other thing that preyed on my mind at this time about having a transplant was the death of my niece’s husband. He had waited for a lung transplant which he needed due to pulmonary fibrosis, which had greatly damaged his lungs. Two pairs of lungs had been turned down as not being good enough for him. On the third try, they decided to do the transplant, even though they knew the lungs might have a fungal infection. He was put on anti-fungal medication, and was feeling much better with his new lungs. However, when he and his family were out celebrating their son’s 13th birthday, he started coughing up blood. That was not good. He died fairly quickly. As it turned out, the fungal infection had taken hold despite the medication, and the arterial walls in the lungs burst, causing the bleed. Knowing all of this made me wary of a transplant. Though I knew a transplant was my only hope, I also knew something could go wrong with it, and that had been brought home to me in my nephew’s case. How would I get over my jitters? We didn’t have a date for the surgery, but did get a call to go for a pre-op visit on May 22nd. There were tests and blood tests conducted. We met the anesthetist. I could tell he was very concerned about me, as I was having such difficulty breathing and walking. He wanted to do a tap, but he had neither the time nor the equipment to do it. Before departing, he did tell us to go to the ER if I got worse, and said that they would take care of me there. When we left the pre-op clinic, we headed to the transplant clinic to pick up my last bottle of Harvoni. I was near the end of the 12 week treatment and I was determined to take all of the drugs and say good bye to the Hep C. Even when I finished, though, I knew it would take 12 weeks before they could do the blood work to find out if the Hep C was gone. I suffered through another couple of weeks not doing much, but still having a great deal of difficulty breathing. So, on June 3rd, we again went to the ER at UH, hoping that they would be able to do a tap and drain some of the fluid so that I could breathe more easily. They couldn’t find a spot large enough to tap, so they couldn’t drain any fluid. Instead, they decided to keep me. They didn’t have a hospital room for me at that time, so they put me in a small room where I could spend the night. Shortly after Phil left (around 10pm), they came along and sent me up to the 8th floor, as a bed had become available. I don’t remember seeing Phil the next day, but I know he was there. After the 3rd, I really have no clear memories until mid-September. I know I had CAT scans, ultrasounds and lots of blood work over the next few days. They originally thought I’d only be in the hospital for a little while. Then came June 7th. Sometime in the afternoon, a nurse came to help get me back into bed, as I was sitting up in a chair. She realized I was in difficulty and couldn’t breathe. She called for help from the floor, but even with that help, they could not stabilize me. Then, they called up a team from the ICU. When they arrived, they immediately said that I need to go to the ICU and rushed me downstairs to the ICU on the 2nd floor. Phil went home around his usual time of 7:00pm. He went to bed around 11 to try to get some sleep. The phone rang just after midnight. The ICU said that my condition had worsened and they needed to put in a breathing tube for which they needed verbal consent from Phil, as I could not give it. Phil immediately got dressed and headed back to the hospital, for what would become a very long night and day, having had little sleep. Around 4 am, he called our son in Kitchener, since he was the closest of our children. He arrived at the hospital about 6:30 in the morning after having a shower and some toast, not knowing what he would encounter. Next, Phil called our son in Texas around 5 am but couldn’t get him, and had to leave a message. Apparently he was charging his phone in the kitchen, and couldn’t hear it ringing. He left our daughter in Somerville to the last, so that she could tend to her 6-month-old daughter before he disturbed her. All 5 of our children arrived that day. Our daughter and her family arrived around supper time. They were to be leaving Somerville the following weekend and moving to KW for her husband’s new job at the university. They had the baby and their cat in tow. Our son-in-law’s parents picked them up at the airport in Toronto, and loaned them a car to get to our place and then to the hospital. For them, it was a very stressful time, with the pending move. Our Texas son and his wife had to make arrangements for their children and dog. Fortunately, our daughter-in-law’s brother and sister-in-law offered to look after them while they were gone. I was glad they didn’t bring the children with them as I didn’t want their last remembrance of Nana to be seeing her all hooked up to wires and tubes. The whole family was present on the 9th (Tuesday). They had some difficult decisions to make in consultation with the doctors. I was hooked up to about 15 different machines and was in multi-organ failure. My liver was barely (if at all) working and my kidneys had shut down. My breathing was being done by a machine. I was totally unaware of anything that was going on. I had no idea of how sick I was and didn’t have any idea until sometime in September. Even then, I don’t think I realized the full extent of my illness. The doctors were not very hopeful that I would pull through. Even the doctor who didn’t start treating me until July 15 – more than a month later – thought even at that time that I would not make it. The family decided to put me on a DNR code. I know that Phil and I had had some brief conversations and I think he really knew that I didn’t want to be kept alive on machines, if that was the only option. I know it was very hard on him. He didn’t want to let me go. Never in our wildest dreams did we ever think that either of us would have to make such a decision at such an early age. But he knew what I wanted, so agreed to the DNR code. The only proviso they gave to the doctors was that they were to give me another chance. They were not to pull the plug immediately, but if there was another catastrophic event from which they could not save me, they could let me go. Later on, I did have brief thoughts a couple of times wishing that they had let me go, as I didn’t know how I was every going to recover from the ordeal and be normal again. Those thoughts lasted about 30 seconds. As soon as I thought about my grandchildren, I knew that I wanted to live to see them grow up, and I was determined to do that. As my condition improved, however slightly, Phil had the DNR code lifted. I had amazing caregivers in the ICU. Apparently when I arrived, I was the sickest person there, and had more than the 1 on 1 care which is the norm in the ICU. It was a seriously uphill battle to survive, but little by little, I began to make very small improvements. Our daughter and son-in-law had a great deal of stress on them. They were moving and looking for a house in Waterloo, and caring for a 7 month old. Each of those situations is very stressful by itself, but coupling them with my condition made it a great deal more difficult for them. They decided to cancel their trip to walk the Wainwright Trail in England, so as not to leave Phil and our son alone. as our son and his wife from Texas had to return home. I don’t remember when I asked about how their trip went, but when I found out they had cancelled it, I was very upset. I felt that they had come and said their good-byes to me, as difficult as I’m sure that was, and that if anything did happen to me, everyone would wait for them to come home before having a funeral. It was very stressful for me to know that I had been the reason they cancelled their long awaited trip. It still is. Our son and his wife from Texas stayed with us for a week. Our son couldn’t really take more time off work, and the kids needed their parents. They were too young to really understand everything that was going on. Since I was showing some slight improvement, they decided it was time to go home. I was fortunate to be able to see my son in late September when he came up to Waterloo to be a recruiter for his company at a job fair. I was so glad to be able to hug him and wished dearly that the other family members could have come too, but I knew that wasn’t possible. Once we figured out how to Skype from the hospital, we did get to talk to the kids a few times. That helped, but I couldn’t wait to see them in person at Christmas. Twice during June, I had ultrasounds to check on the growth around my ureter, as they were concerned about what to do about surgery, since at this point, it would be more difficult and complicated. By some miracle, the growth had disappeared. It didn’t show up in either of the ultrasounds. Later, when I asked, they told me it was a hematoma. Also, they had to decide how I would finish the dose of Harvoni. I still had two weeks to go when I crashed. They didn’t give it to me for two days while they tried to figure out what to do. In the end, they crushed it and put it in through my feeding tube. I finished the last dose on my 66th birthday. Twelve weeks later, the blood tests revealed that the Hepatitis C was gone!! I wasn’t aware that it was my birthday or that I had finished the Harvoni. In fact, I remember very little of the whole summer. Almost all of my memory is gone. Lots of people say to me that it was likely a blessing, but I feel that there is a very large part of my life that is missing and I’ll never fully be able to know exactly what happened to me, even though I ask lots of questions. I just want to know and not have that hole in my life. I do remember being put on the transplant list, or at least being told I was on the list and at the top as I had scored a perfect 40 on the MELD score ( not really a good thing, but not bad, either as it put me ahead of everyone else). They thought that I would have a new liver in a couple of days, but because I am so small, it took six weeks to find one the right size for me. They had turned down a couple of livers in the meantime, as they were unsuitable for me for one reason or another. I know that the doctors were very concerned about doing the transplant, and weren’t sure if they could, because I was so weak. It was probably a good thing that it took 6 weeks, as it gave me some time to gain strength for the lengthy surgery. August 19th – Transplant Day. This is also a significant date for other reasons, as it is the anniversary of the raid on Dieppe in 1942. I had two uncles who were on the beach in Dieppe that day. Despite the heavy casualties, they were not among them. They became prisoners of war, and spent the rest of the war in a POW camp in Germany. It was a difficult time for my grandparents, aunts and uncles, as the first report was that they were missing in action. It was a while later before they found out that both of them were prisoners of war. They came home at the end of the war, but I’m sure they suffered from PTSD for the rest of their lives. I do remember some things about transplant day. I had no idea what day or month it was. I couldn’t keep track because I slept so much. One day just melted into the next for me. I do remember the transplant coordinator coming in and telling me they had an offer of a liver. They had accepted it and were waiting for it to reach the hospital. When it arrived, they would check it over and do an ultrasound on it to make sure it was a good liver for me. If it was good, then they would start the surgery at 8 pm. Phil also got a call from the coordinator that morning around 9:30. I don’t know if that was before or after I got the news. He was very thankful that maybe, now, we were nearing the end. He cried, but then got himself ready to come to the hospital. Since the surgery wasn’t until evening, Phil arrived at his usual time around noon. I really don’t remember talking to him. I’m sure I slept most of the afternoon. I think I woke up some time after supper (though I know I wasn’t eating as I had a feeding tube). I talked to Phil a bit. I don’t remember what we said exactly, but we talked about the new liver and how much we hoped it would be a good fit and solve my problems. It was about 8:15 when they finally came to transport me to the operating room. Phil walked with me as far as they would let him go. We kissed and said good-bye, or see you soon, or something like that. Once they rolled me into the operating room, they put me out so, that I wouldn’t know what was going on or be in pain. They had lots to do to get me ready. Tubes were inserted in a few places so that they could deliver blood. Liver transplant patients tend to bleed a great deal because of their low platelets, as they are caused when the liver doesn’t do its job properly and doesn’t deliver the platelets to where they are needed. Both Phil and I were very calm during the waiting period that day. We both knew that this was my only hope for survival. It all seemed very surreal to me, as though I was in a dream. It was inconceivable that I was going to lose my liver – the one that had served me well for most of my 66 years, and would be replaced with a liver from someone else. How could that be? I knew all of the reasons, but it still didn’t seem real. We have no idea where the liver came from, or from whom. We know it wasn’t procured locally. It would have come from a person approximately my size and with my blood type. Other than that, we know nothing. I wouldn’t be surprised if it came from a child or young teen because of my size, but I don’t know. By the weekend, I was recovering reasonably well. Phil likened it to someone turning on a switch. That’s how pronounced the change in me was. He could see it, though I didn’t really come awake until early to mid-September. My recovery was slow and long, but they were able to take me to the transplant unit within a day or two. This time, they were able to look after me, and I had no setbacks. I don’t remember any pain, so they must have kept me comfortable. Neither do I remember anyone asking me if I needed pain meds. I expected to be in pain, so I was pleasantly surprised when I wasn’t. I’m not sure when I was first able to see the incision. I had to look down and squint my eyes together to see it. I thought I saw two incisions – one closed up with staples and the other with sutures. I thought this for a long time until I asked Phil why they did two incisions. I figured they had to insert the liver, somehow between the two incisions. He politely told me (and laughed at me) that there was only one incision. It wasn’t until a few weeks later that they began removing the staples and sutures. They did half of the staples one day, the sutures on another day and the rest of the staples later on. I thought it would hurt, but I didn’t feel a thing. My stomach was basically numb from one side to the other. Now, it’s mostly my right side that doesn’t have much feeling. The incision follows the ribcage from the left side, up to the sternum and back down the right side. Besides that, I have fang marks on my neck and 5 bullet holes on my abdomen – all from tubes that went in and out except the wound on my right side. No one really knows how the wound came to be, but Phil’s guess is that two of the taps merged and spontaneously opened up the hole sometime in late June. It had to be dressed the whole time I was in the hospital. At the transplant hospital, they used a V(acuum) A(ided) D(ressing) machine, which, in effect, sucked out the gunk. When I got to Woodstock Hospital, they just dressed the wound with a packing. When I went home, Health Care sent nurses to dress the wound twice a week. As of January 20, 2017, it was finally closed. On Sept 2, another surgeon inserted a stent in the main duct, between the liver and kidneys, as my kidneys were not working properly. There was a blockage. I was also still on dialysis, which I had been on since June. The stent seemed to make the difference, and I was able to be taken off dialysis at the end of September. I still need to have the stent changed, and am now going in every 4-5 months for that. It wasn’t until after the transplant that I really started to improve and get better. Up until that time, they were just managing to keep me alive. Even though I had the transplant August 19th, I feel that it wasn’t until about a month later that I actually started to wake up and know what was happening. At that point I was much more aware of everything going on. There were still lots of blood tests and x-rays and ultrasounds to keep track of what was going on. At the end of September, they were finally able to take me off of the dialysis routine. I didn’t mind that as there wasn’t anything I could do during the procedure and it would take 3-4 hours. Sometimes I slept, but many times I was awake. There were TVs but I rarely found anything I wanted to watch, and couldn’t hear anything, anyway. Around that time, they started talking about letting me go home – or at least elsewhere – to continue my physio. Because I had been so sick for so long and had to stay in bed throughout it all, my muscles wasted away, and I had to regain my strength and learn to walk all over again. I remember the first time the physiotherapists came to get me out of bed. Apparently they had worked previously on having me sit on the side of the bed, stand, shuffle, and sit in a chair, but I don’t have any memory of that. I just remember them coming to get me and take me to the physio room. When they said they wanted me to sit up, then stand, all I could think was, “Are you kidding, me? I haven’t stood up since June 3rd” – or so I thought. Once they got me up to a standing position, which took all my strength and their masterful cajoling, they wanted me to walk to the physio room. “You want me to do what? No, way! I can’t do that!” But I did. I shuffled along the hall (not very far), sat in a chair, did some exercises (or tried to), and then promptly threw up. They took me back to my room, where I think I slept a good portion of the afternoon. I really didn’t care that I had thrown up. I was just happy that I was able to walk to the physio room. There was some progress. My progress was slow, but it was steady. The physio ladies just kept coming after me and taking me to the physio room. They would put on the hospital pants and hold me up by my waist (Phil thought it looked like they were giving me a wedgie). I would be pushing my walker, with one person towing a wheel chair behind me in case I needed it. I used to tease them that they liked to torture people, but they were kind and kept after me, although if I’d had a bad day for some reason, they would let me go. It took a long time before I could get out of bed myself. At first, it had to be two people, and then Phil could help with one nurse, and then eventually, he could get me out by himself. In late September, they moved me out of the transplant unit, as they needed my room. I was in the best shape of anyone in the unit at that time, so I was the one chosen to be moved out and up to the 8th floor. There is a noticeable difference in the care level from ICU and the transplant unit and what I got on the 8th floor. I was also put in the corner, with no window, which made it all the more difficult than if I’d had a window. Most of the nurses who looked after me were very nice, but there were a couple whom I really did not like. During October, I developed the cytomegalovirus which is a potentially dangerous virus. We all contain it in our gut, but it doesn’t usually cause trouble except in people who are immunosuppressed, like me. The confusing part was that I really didn’t have any symptoms. I had only a mild fever which didn’t last long, and nothing else. They eventually sent a sample to the Centre for Disease Control in Winnipeg to try to find out exactly what drugs and dose to give me. They did not want to let me out of the transplant hospital until they had the virus under control. At this time, they were working on getting me to Woodstock for the last of my rehab. They originally wanted me to go to Parkwood in London to finish, but for me, it was not the best place psychologically. By going to Woodstock, I felt I was going home, and that’s where I wanted to be. It also meant a worse drive for Phil, and by that time it was getting very hard for him, and he was a bit depressed. Finally, on Oct. 30, everything worked out for my move to Woodstock. I got a ride in a transfer vehicle riding in a wheelchair strapped into the large van. They originally were going to send me on a stretcher, riding backward, but that would have been bad news, and I’d likely have thrown up all the way. When I arrived in Woodstock, they put me in a private room (Yeah, as the 8th floor ward I’d been in wasn’t a great experience. Up until then, I had been in a private room in Palliative Care. It was the only room available. Phil later discovered that the wife of one of his cousins was in Palliative Care, and she passed away some time later. There was a physio room not far from my room, so that made it easy to go down for physio. I went twice a day, including weekends. It was also a great room for visiting with our granddaughter, now 11 months old, as she had lots of room to move around without worrying about her. She was able to pull herself up and walk around furniture by that time. I was told that I was going to go home on Tuesday, November 17th, as the physio people felt I had accomplished everything they felt they could with me, and I was strong enough for us to manage at home. However, when the day came, the doctor in charge of the physio unit wouldn’t let me go because the CMV virus was still there. That was disheartening, as it meant I had no idea when I would get home. By Thursday, he was talking about calling the doctors at the transplant hospital to see what they thought. Friday morning, he still hadn’t gotten through to them. But, in the afternoon – around 3 and just after Phil had arrived– he came in to say that the doctors told him that, as long as I was on the antibiotics, I could go home. He asked me when I wanted to go. “RIGHT NOW!! !” was the answer. They asked if I wanted to stay for supper. Are you kidding – when I can go home and have a home cooked meal? They said it would take about an hour to get all the paper work done, which gave us time to get ready to go home. Phil and I were both ecstatic. After 6 months of being in hospital, I was finally being set free. I couldn’t believe it. We headed out with prescriptions in hand, and took them to the pharmacy to be filled. We made a quick supper. Was it ever nice to have home-cooked food again, in my own home. It was great to be there. I was so glad to be finally sleeping in my own bed. It was hard to get into it, but it was so much more comfortable, and it was wonderful to have Phil sleeping beside me. I had missed him terribly. After his long ordeal, I still have some leftover problems. My voice is permanently damaged from having a breathing tube down my throat for four weeks. It is raspy and not very loud. I still have some trouble handling stairs, and can’t walk for long distances without using a walker. As well, I lost most of my hair. My thyroid had been a problem for 15 years, but the state I was in made it much worse, and that caused my hair to fall out. What I have been left with is a curly mess that doesn’t always do what I want it to do and won’t be tamed. However, I can’t complain. After all, thanks to modern medicine and a heroic donor and donor family, I’m alive. We are both indebted to the wonderful nurses and doctors in the ICU. We have no idea how they managed to keep me alive. We are grateful that they did. The nurses in the M(ulti)O(rgan)T(ransplant) S unit were also terrific. They looked after me and kept me well during the post-transplant period. University Hospital was the best place for me to be. The care was outstanding. Now, if they could only do something about the food…!